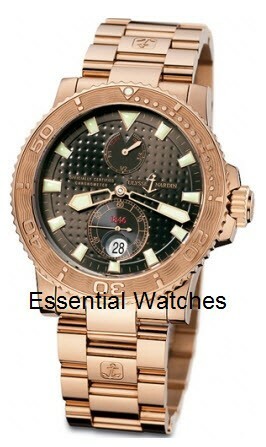 This watch is also known as: 266-33-3A-925 , 266-33-3a/925 , 266-33-3/925 . 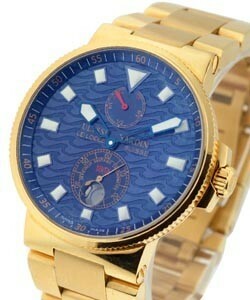 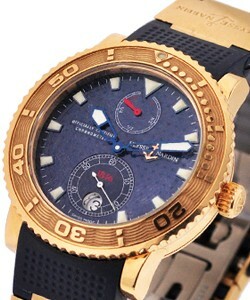 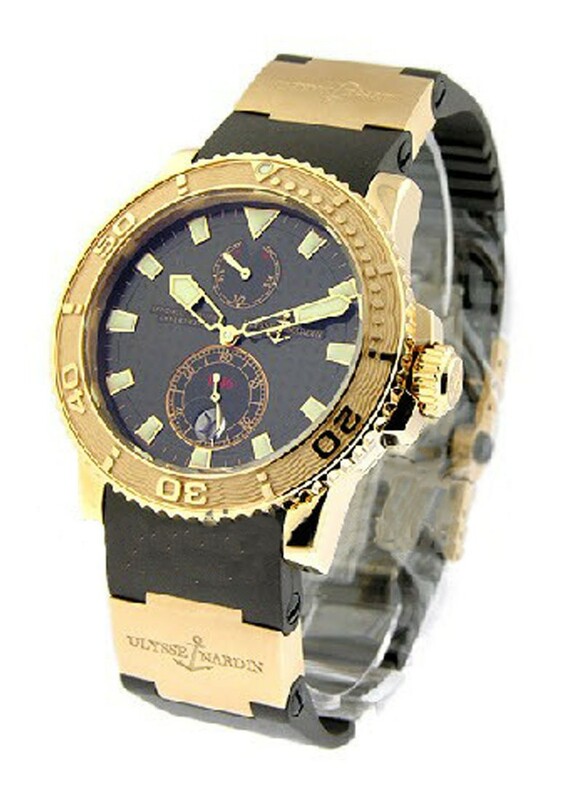 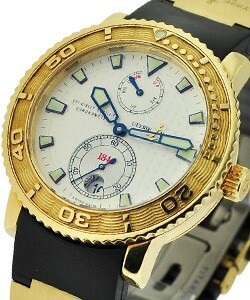 Ulysse Nardin Men's "Maxi Marine Divers" Watch. 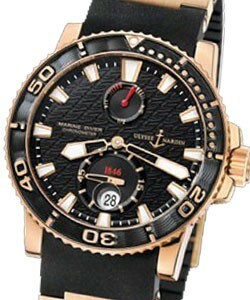 This most sophisticated Swiss watches Ulysse Nardin Men's "Maxi Marine Divers" Ref No:266-33-3A/925 features a 18K Rose Gold Case & Bezel, Brown Rubber Strap, Brown Dial, Power Reserve Indicator, Magnified Date Display, Fixed Bezel, Automatic Chronometer Movement, Scratch Resistant Sapphire Crystal, Luminous Hands & Markers, Water resistant up to 200FT.